What’s the first thing that springs to mind when you think of Thailand: its sparkling waters and powdery beaches? Its teeming metropoles and vibrant nightlife? Or the savoury flavours of its distinctive culinary scene? 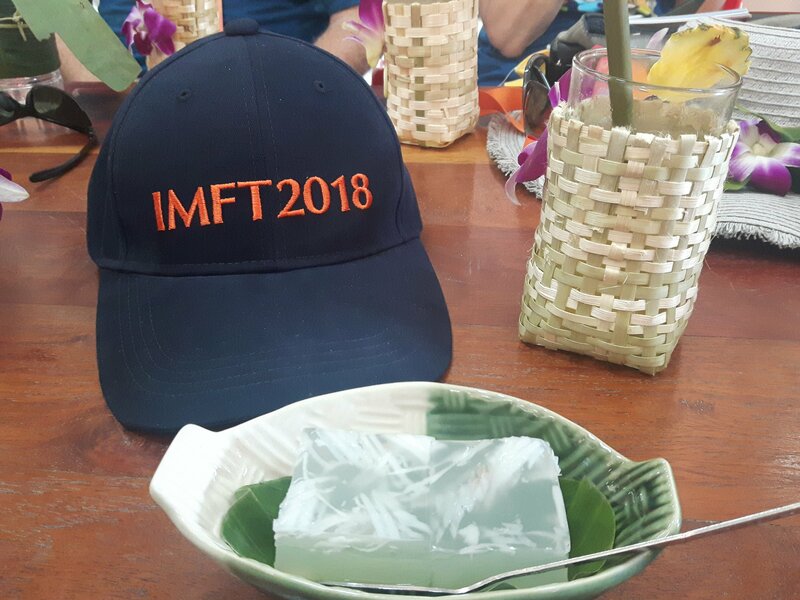 Each of these distinguishing features was in ample evidence during the 2018 iteration of the International Media Familiarisation Trip (IMFT), which took place last week (8th-12th October) across a host of Thai locations, including Bangkok, Pattaya, Si Racha and Rayong. Yet the event, hosted by the Thailand Convention & Exhibition Bureau (TCEB), placed the country’s strength in the MICE sector front and centre, showcasing the numerous factors – from enormous convention centres and plush hotels to varied and innovative group activities – that have contributed to its centrality in Thailand’s tourism industry. It’s perhaps no surprise that such a strong emphasis has been placed on highlighting the quality of Thailand’s MICE scene, given the pivotal role that the sector is anticipated to play in helping advance the country’s ambitious project for development of its Eastern Economic Corridor (EEC). Speaking to a packed press conference in Bangkok, TCEB President Chiruit Isarangkun described international conventions, tradeshows, conferences and more as vital components of a strategy aimed at cultivating a reputation for the EEC (an important economic area along the country’s eastern seaboard) as the country’s ‘economic hub’. With further plans afoot to develop an ‘Eastern MICE Corridor’ throughout the EEC, TCEB outlined a comprehensive strategy aimed at elevating Thailand’s strength in the sector, including efforts to increase its effectiveness in securing international events and invest further in infrastructure. Irish MICE professionals, too, should stand up and take note: numerous venues, including Pattaya’s impressively vast Nongnooch International Convention and Exhibition Center (NICE), expressed a firm determination to attract a larger number of European clients. The quality of Thailand’s existing infrastructure for the MICE sector is certainly striking. The scene of the opening-day press conference was the Lancaster Bangkok, a 5-star hotel that opened its doors as recently as December 2017. Its nine meeting rooms and expansive ballroom (which can house as many as 300 guests) are ideal for groups and business travellers, as well as conferences and exhibitions. Other venues included Balcony Seaside, set in the sleepy subdistrict of Si Racha, with meeting rooms that accommodate up to 130 people, and Ao Prow Resort, a sun-soaked retreat on the island of Ko Samet that seems tailor-made for an incentive trip. Pattaya, a lively beachside resort area, has garnered a reputation as one of Thailand’s most prominent MICE cities. It’s little wonder, then, that it houses on its outskirts one of the country’s new flagship event venues, the aforementioned NICE – a state-of-the-art convention centre offering two enormous halls and a bumper capacity of 10,000. A lavish welcoming ceremony gave attendees a taste of the venue’s potential for big, atmospheric events, while a subsequent tour of the grounds revealed an otherworldly collection of animal sculptures and an intricate maze in its renowned botanical garden. The city’s MICE offering is also supplemented by the Mytt Beach Hotel, a 5-star property whose Vertical Ballroom is one of Pattaya’s largest event and function rooms. TCEB’s steadfast commitment to further investment suggests that there’s more to come from Thailand’s already-impressive MICE infrastructure. One of the most significant planned developments is the establishment of Thailand as an aviation hub through the Specialised Eastern Aviation Zone and Eastern Airport City, which will ensure a shorter travel time between Bangkok and the ECC and facilitate connections to Don Muang, Suvarnabhumi, and U-Tapao Airports. 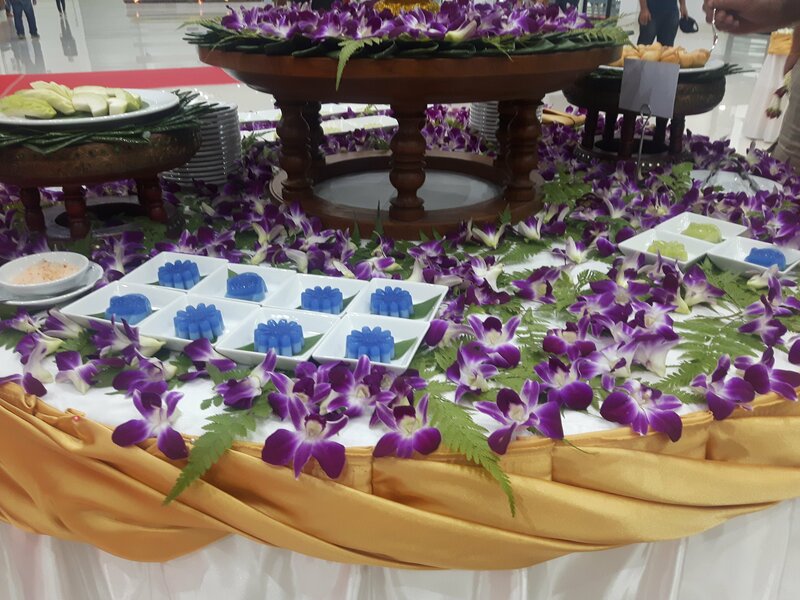 Of course, facilities are but one part of the overall MICE picture, and the five-day trip also gave attendees a closer look at some of the options available for team-building and incentive activities in Thailand. Chachoengsao’s Regional Observatory for the Public provided the venue for the opening evening’s gala dinner, with attendees touring the property’s sky observatory and various exhibitions. Clay-moulding and other educational activities are offered at the Observatory, with its space also rentable for events and functions. One of the most hands-on experiences saw the FAM’s participants attend an interactive cooking course, frying chicken at Balcony Seaside with the area’s iconic Sriracha sauce. Vajiravudh Scout Camp provided the setting for a range of activities and challenges aimed at building team cohesion and camaraderie, rounded off by a jamboree-style dinner. At Ao Prow Resort, meanwhile, events ranged from the serene to the strenuous, with offerings including Thai boxing, trekking, ceremonial offering of food to monks, and portrait drawing on the beach. Unsurprisingly, Thailand’s legendary cuisine permeated every aspect of the trip, with mouth-watering fare including an array of soups, deep-fried seabass and chicken, wok-fried asparagus, Massamun curry and stuffed squid. Unquestionably one of the most memorable culinary experiences took place by Rayong’s Prasae river, with spicy river prawn soup supplemented by a banana blossom salad and Thai stir-fried rice noodles, topped off by a dessert of fresh seasonal fruit. With the MICE sector contributing some 173 billion baht (€4.6 billion) to Thailand’s economy last year, TCEB’s commitment to investing in the country’s MICE infrastructure and elevating its position as a MICE stronghold reflect a clearly well-founded confidence in its potential as a major driving force for tourism. Indeed, staggered developments set to take place in the EEC between now and 2025 suggest that you could be hearing a lot more about Thailand and its flourishing MICE scene in the coming years.